Golf carts--small, four-wheel vehicles used to travel from one part of a golf course to another--can be driven on public roads. Arizona law treats these carts as motor vehicles, requiring drivers to register them and carry liability insurance. In addition, Arizona limits the use of golf carts to roads with a speed of less than 35 miles per hour to comply with federal standards requiring speed limits on these vehicles. Arizona law requires motor vehicle operators, including golf cart operators, to carry liability insurance on their vehicles. As of August, 2010, minimum liability insurance requirements are $10,000 in property damage and $15,000 in bodily injury. If a golf cart operator is caught driving without insurance, the Arizona Department of Motor Vehicles (DMV) can suspend his driver's license and require him to carry SR-22 insurance for three years. Federal law says that each state, including Arizona, can make its own laws regarding golf carts only if the golf carts are incapable of exceeding speeds of 25 miles per hour. Thus, golf carts may not be manufactured that are capable of exceeding this speed or modified to go faster than 25 miles per hour. To comply with this regulation, Arizona sets a maximum speed of 25 miles per hour for golf carts and bans them from roads with a speed limit of 35 miles per hour or higher. The Arizona DMV requires golf cart owners to register their vehicles. Golf carts must have working headlights, brake lights and a horn. 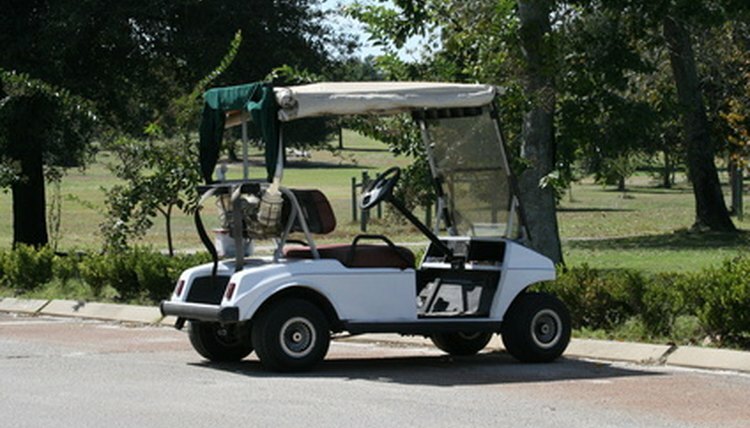 Golf carts are exempt from the Arizona requirement that all motor vehicles must have a windshield. Ori, Jack. "Arizona Driving Laws for Golf Carts." , https://legalbeagle.com/6835564-arizona-driving-laws-golf-carts.html. Accessed 23 April 2019.